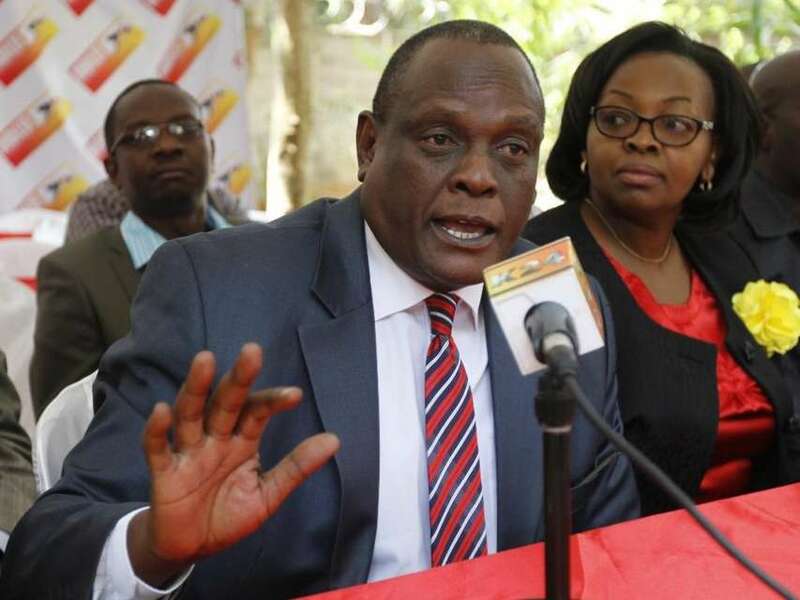 Former Jubilee party vice Chair David Murathe on Tuesday escalated his tussle with Deputy President William Ruto, declaring allegiance to President Uhuru Kenyatta. Murathe said that nothing will hinder him from challenging the DP’s 2022 presidential bid. Speaking on Citizen TV, Murathe said without mincing his words that he shares the same ideals with President Kenyatta and not even moving to opposition coalition will stop him from being his follower. “Me and like minded will be campaigning against that ticket of William, whether in Jubilee or not,” said Murathe. According to him, Kenyatta has the best intentions and interests of the country at heart. He however, said if the President supported Ruto it won’t go without a fight from members opposed to the DP’s ambitions. Murathe further revealed that his problem with Ruto is his early campaigns with what he termed Tanga Tanga Team while the country has a sitting president. “You can not say you’re going to inherit my wife while I’m still alive,” he said. According to him the DP’s premature campaigns are distractive and a great disrespect to President Kenyatta.